Harbor View Lateral File Antiqued Paint By Sauder. 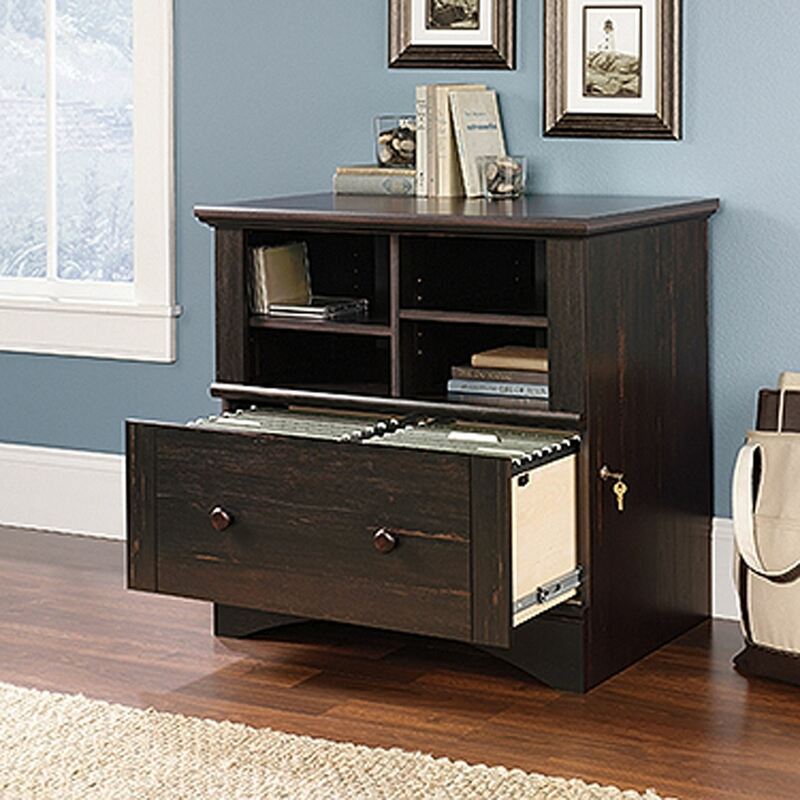 Time to get organized with this lateral file from the Harbor View collection. 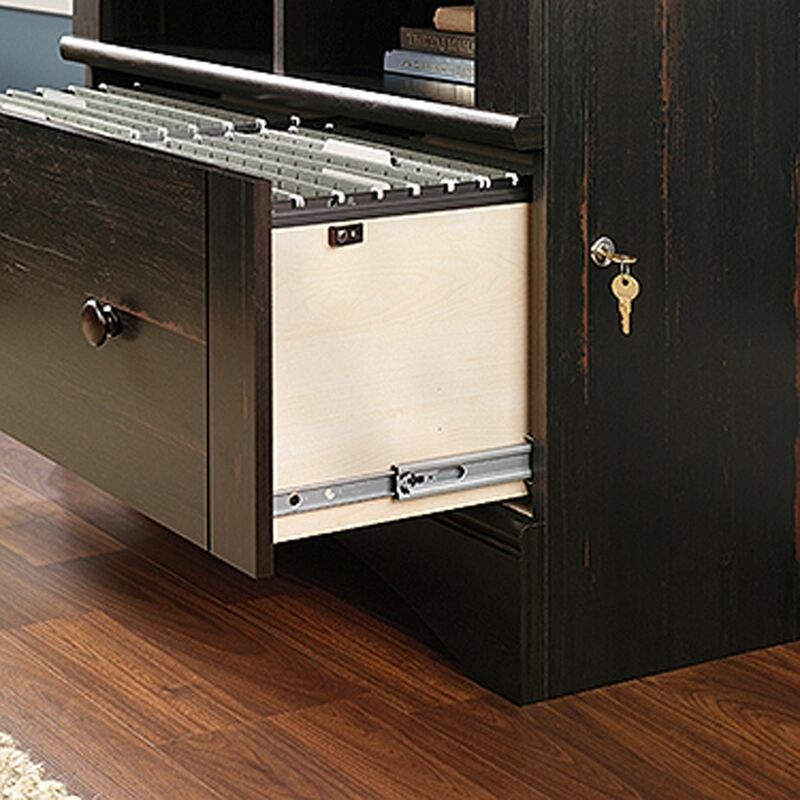 Keep files safe and secure with the locking ability of the lower drawer. It has full extension slides and holds letter, legal, or European size hanging files. 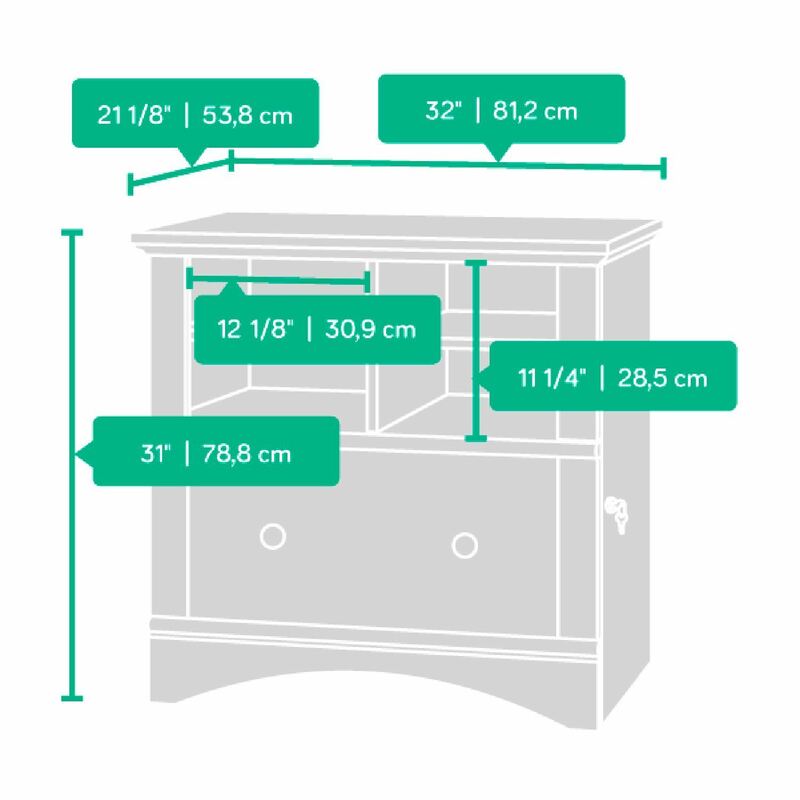 Additional cubbyhole storage includes two adjustable shelves, perfect for books, stacks of paper, envelopes and more. 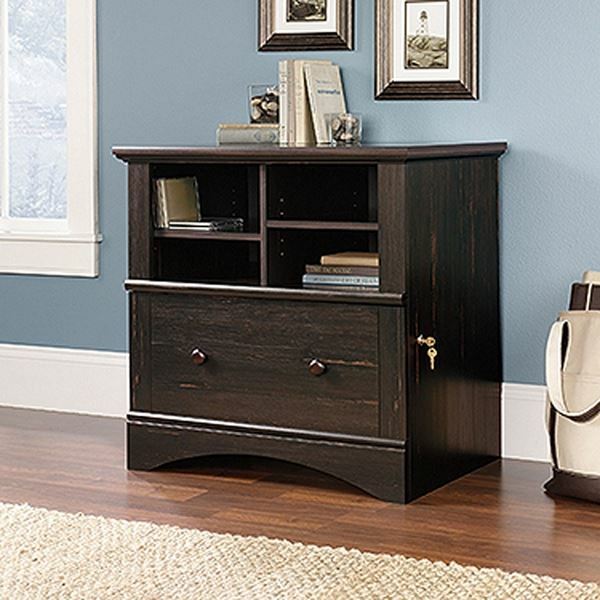 Finished in a classy Antiqued Paint, this file cabinet will get you organized in style.